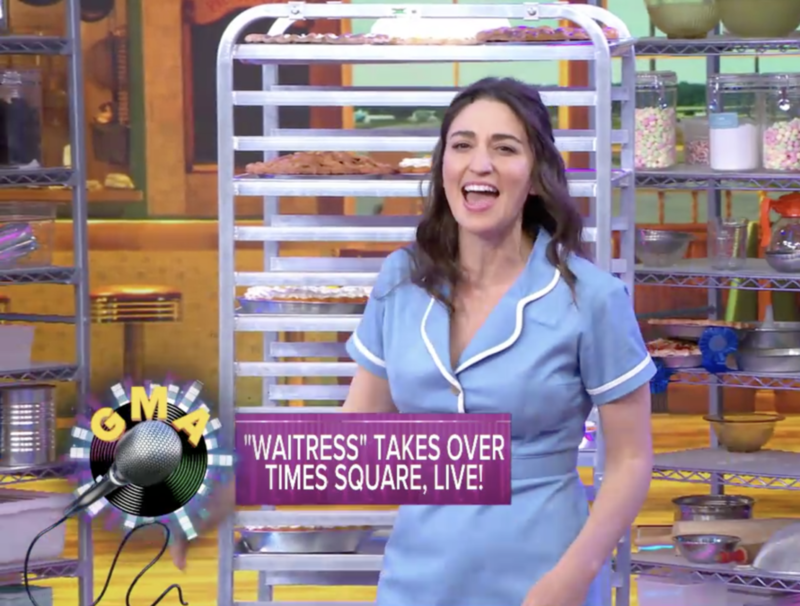 Sara Bareilles, currently making her Broadway acting debut in Waitress (the hit musical for which she penned the score), made a surprise appearance on the May 16 episode of Good Morning America. The Grammy-nommed singer-songwriter, who received a Tony nomination for the musical's original tunes, lived up to one of her bouncy numbers by “Opening Up” a performance segment of the morning TV show. Watch Bareilles, joined by Charity Angel Dawson, Caitlin Houlahan, Eric Anderson and the musical’s talented cast, take to the set of GMA with a preview from the show that's filling audiences with pride (and pie). And Betsy Wolfe, who is set to take over the role of Jenna on June 13, stopped by to get a cute shot with her predecessor. Watch Bareilles pass the pie to Wolfe in the video below.